Transports BCN // Joan Marc LL. A. 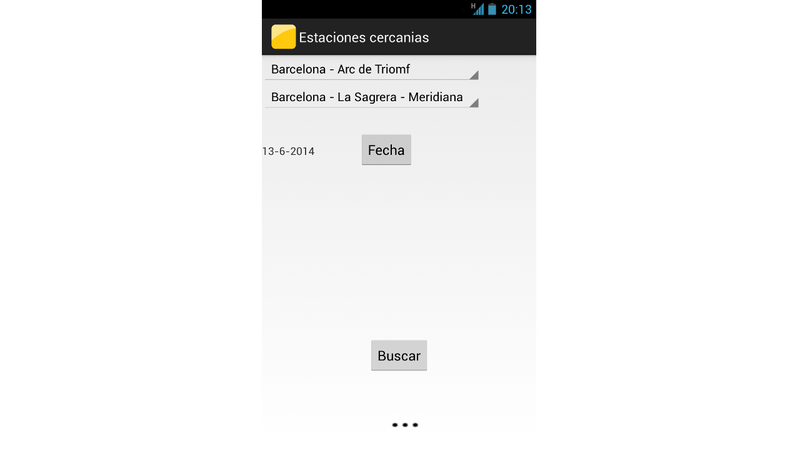 Transports BCN is an app designed to help people from Barcelona or which is spending some time in the city to move along it (unfinished). The main menu is divided in 3 blocks: schedules, how to get to & transhipments. The schedule menu allows the user to select the origin, destination & date and the app returns all the available timetables to get from the origin to the destination for that day. More than once you have asked yourself where is the nearest station but most of times you don't know which one is the closest (this increases if you are in a another city which is not yours), so this is where "how to get to" takes action. 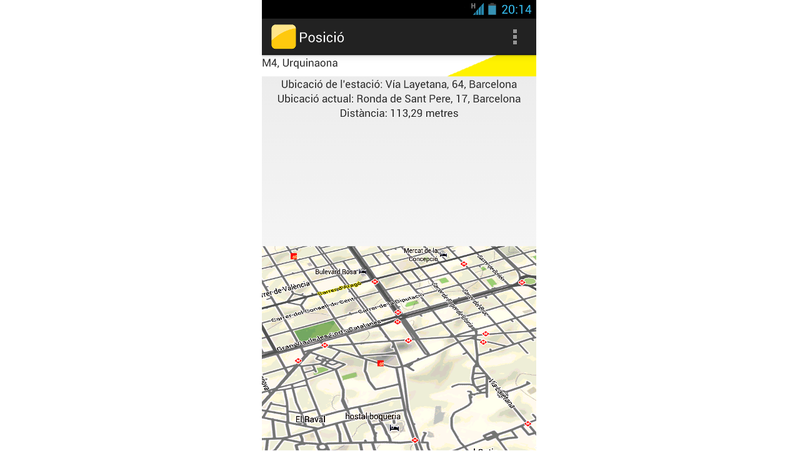 Based in your current position ("Ubicació actual") and checkin a custom handmade file that contains the coordinates of all the train, metro & tram station ("Ubicació de l'estació") it shows you the distance from you and the station ("Distància") & which kind of station is the nearest. For example, the nearest station is Urquinaona, which is the line 4 of the metro (M4) & it's color is yellow. Once you have this information, you can click the static map button to be redirected to Google Maps where you will see the steps to arrive from you current position to the station. By using the custom handmade file & A* algorithm this block is capable of showing the shortest path from one station to another. This is the only part which has not been implemented.